Well I do actually have an update on boxers! 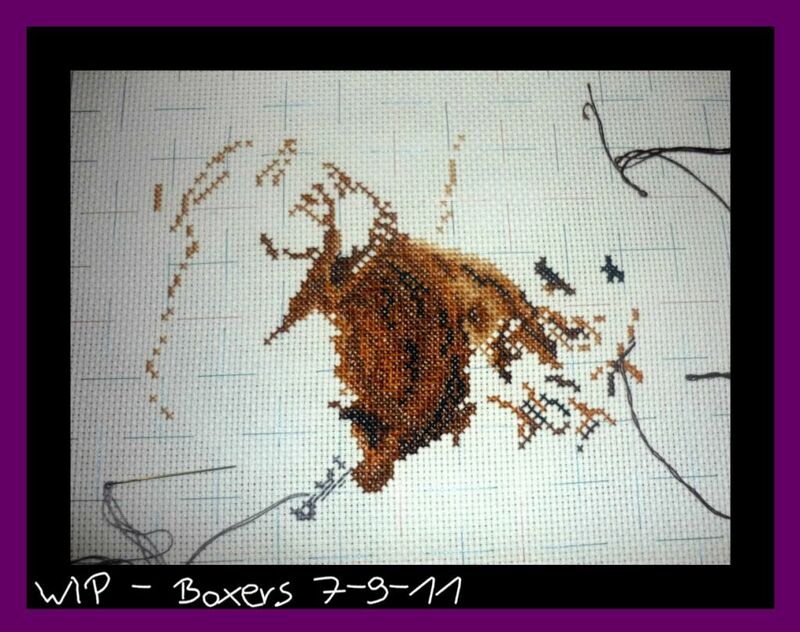 I spent ages yesterday stitching up and you can see the start of of a boxer starting to form rather than a brown blob! 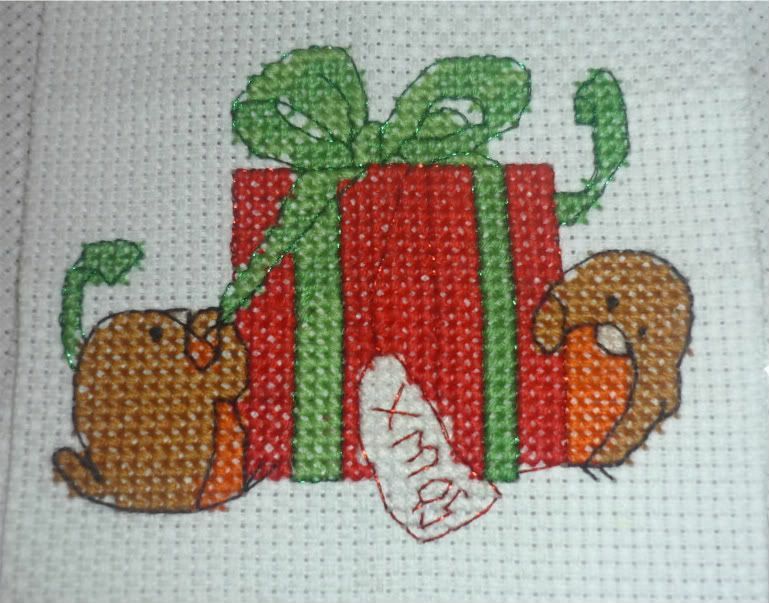 In between this I have been stitching christmas cards. But I did start this last year ... and never finished it so now here is my gorgeous finish ... kinda I will be putting it on a card to count it in my goals! Thanks for entering the giveaway, if you are lucky enough to win, which prize would you like?